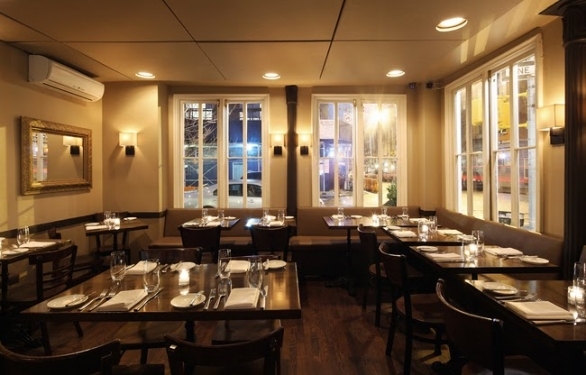 I enjoyed the opportunity to dine at Recette, located on a street corner in the West Village. The interior is beautifully elegant, yet cozy and comfortable at the same time. This summer, Recette is serving special Summer Supper which consists of 1 snack (appetizer), 2 plates and 1 dessert for the great price of $40. 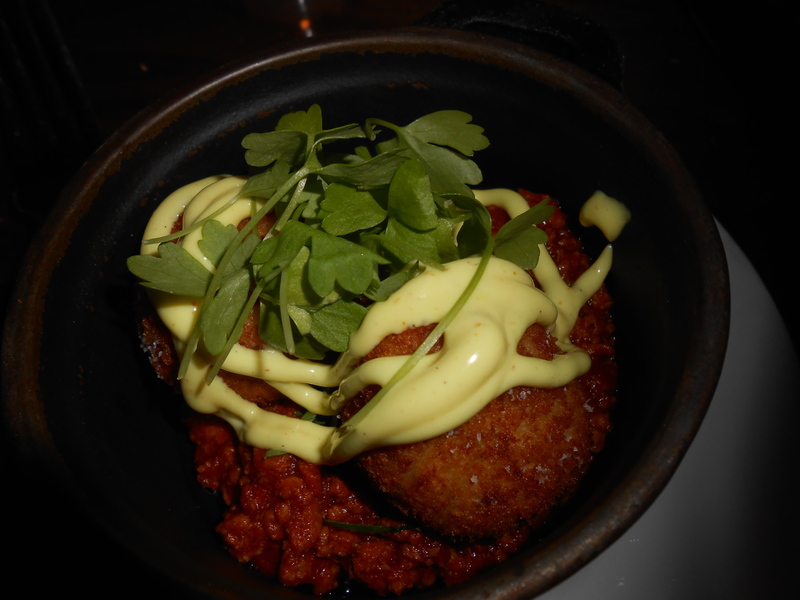 I chose salt cod fritters for my snack, which came came with lamb sausage ragu at the bottom and curry aioli. The cod fritters were balls of deliciousness- Crispy, flavorful, with the wonderful taste of cod. The accompanying lamb ragu was also extremely tasty and had perfectly seasoned. 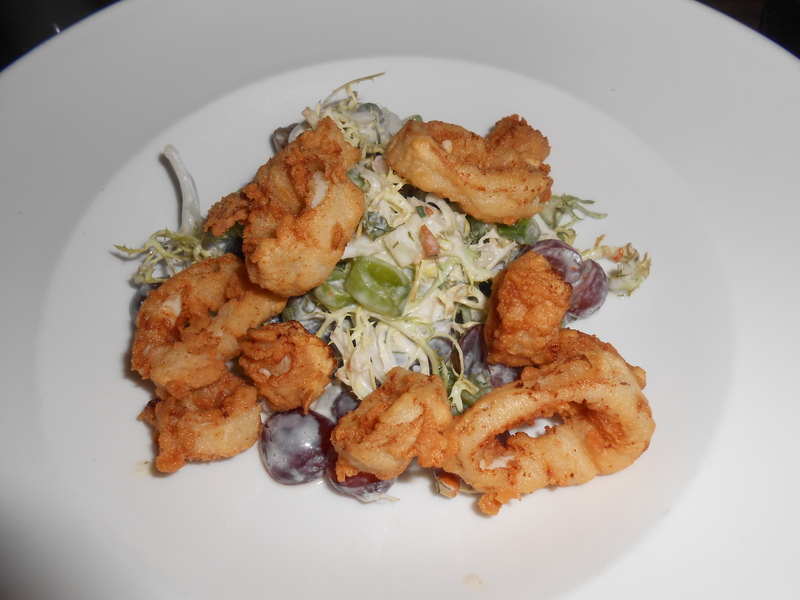 My next dish was crispy calamari in a salad of snap pea, radish, grape, cashew, and ranch. The calamari was decent, a little salty but I enjoyed the crunchiness and would’ve liked more on my plate. The bed of salad underneath was just okay. There was too much ranch dressing and I couldn’t taste the snap peas or cashews. 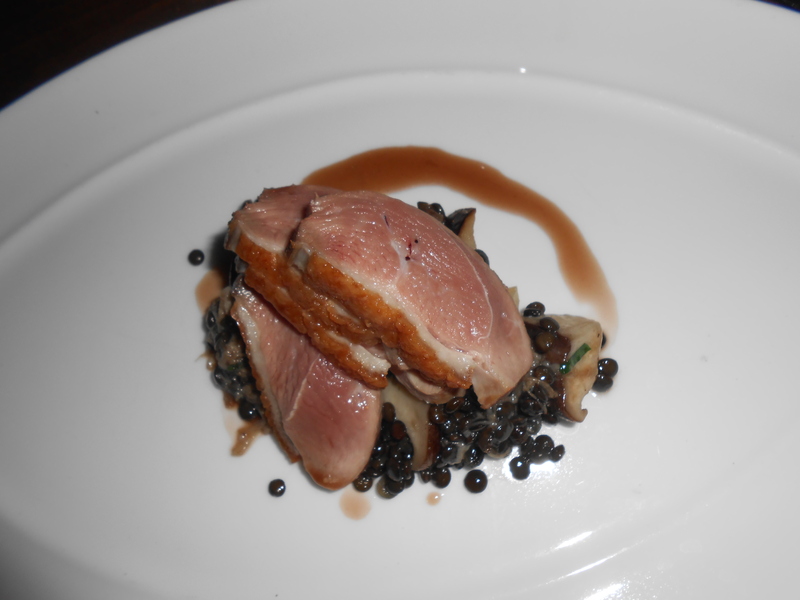 After that came duck breast, which included confit leg, beluga lentils and maitakes (a type of mushroom). I was unimpressed. The duck breast itself didn’t taste much like duck; it was quite meaty and was reminiscent of a lean beef. 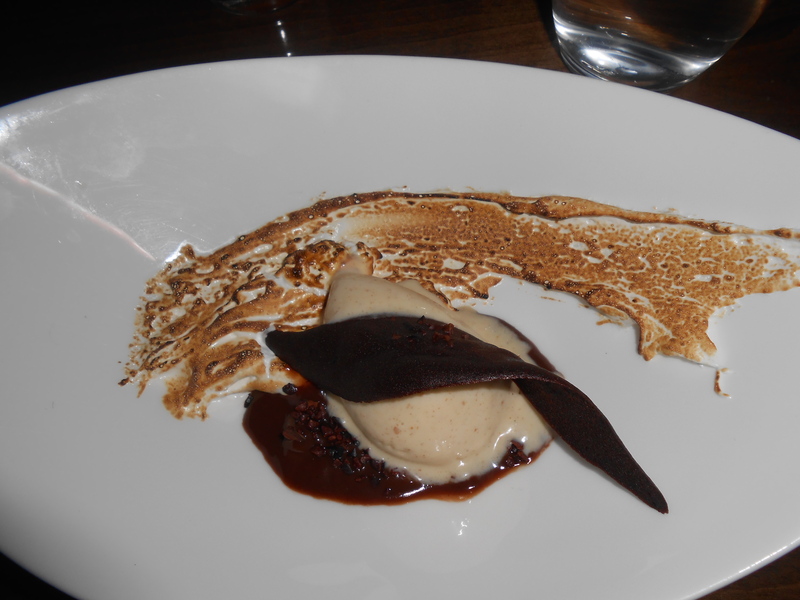 I wasn’t able to discern the taste of confit leg and I wasn’t a huge fan of the black lentils. The maitakes were good though- Juicy and fresh. 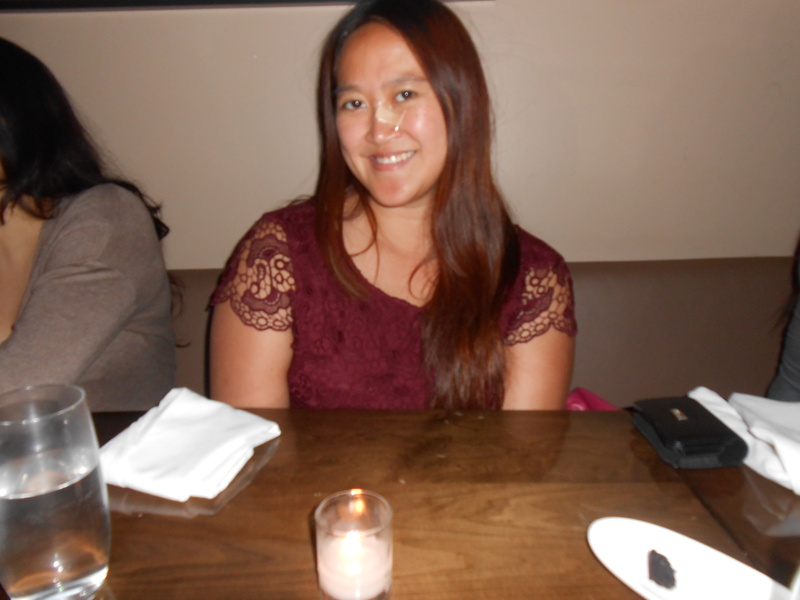 I was able to try the Berkshire Pork Belly, which was mouthwatering delicious and what I should’ve gotten. The service was spot on and the waiter knew the menu well and answered any questions with expertise, as well as explained the dishes beautifully.